PT4005. 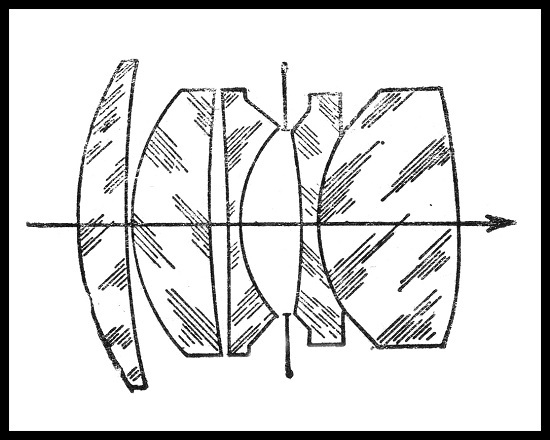 Prototype lens released by KMZ in 1953 (?). Focal length - 5 cm (5.2 cm), aperture range f2.0 - f22. 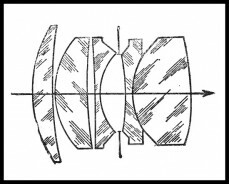 Focusing range from 1m to infinity. Number of elements/groups: 5/4. Angular field - 45º. Zorki (M39) mount. 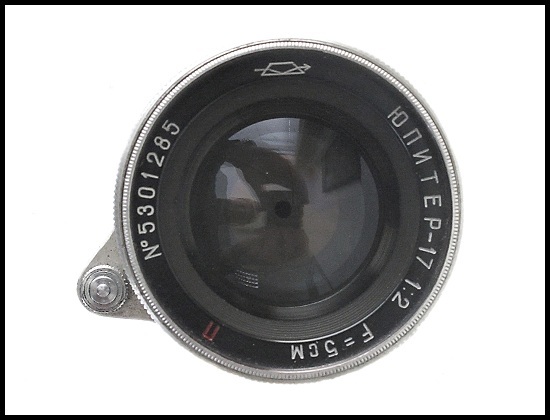 The particular version has serial number without date prefix, known lens has s/n #0001204 (source: J.L.Princelle book). No otherwise different from Jupiter-8. 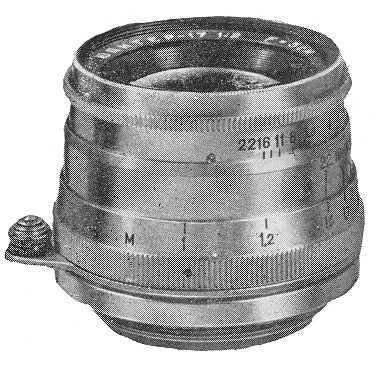 Sample opposite scanned from the 1st soviet camera Catalogue (1958). 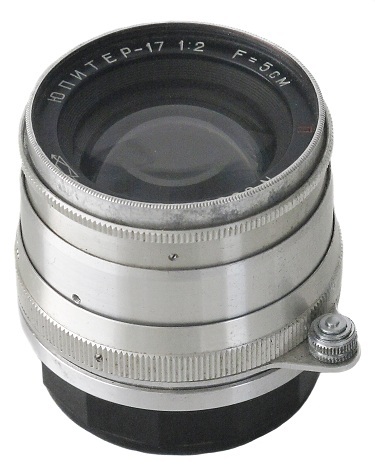 PT4005 - Jupiter-17 prototype lens.